After a pretty indulgent weekend, I am going to eat only protein this week to kick start some weight loss and get things back to normal. I usually do this anytime I feel like I need to get back on track and need to lose a couple of extra pounds to get back to my goal weight. 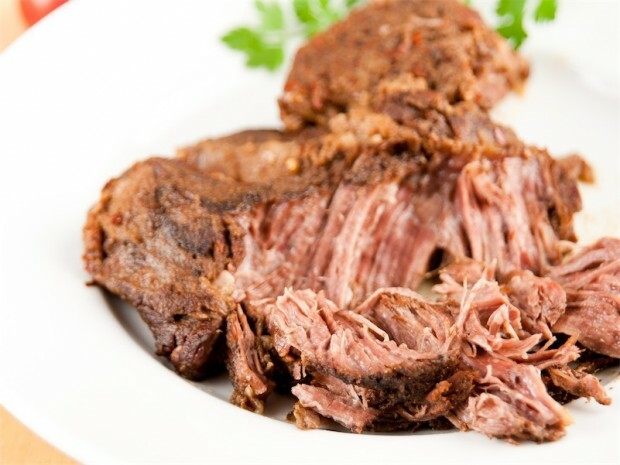 To kick this off, I made my favorite slow cooker shredded beef and you can be sure I will be eating it all week long. 1. Mix together all of the dry spices and rub them on the beef. 2. Add the beef to the slow cooker with 1 cup of beef broth. 3. Cook on low for 8 hours until the beef easily shreds with a fork.